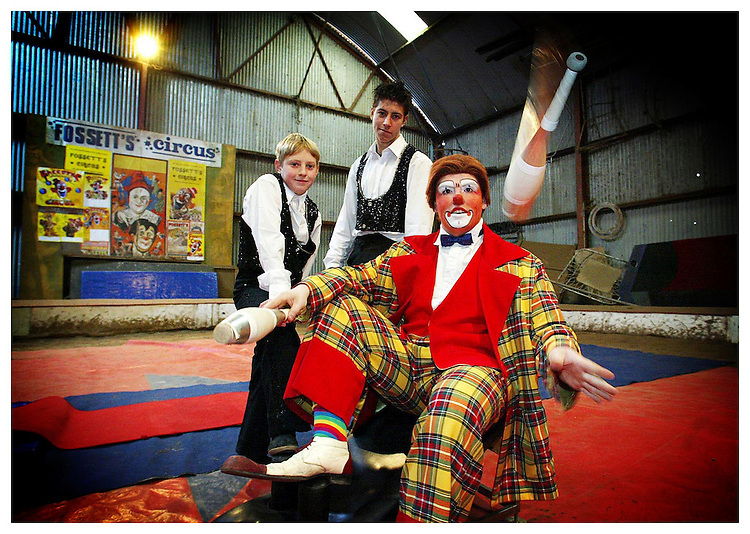 Trapeese artists, Niko and Nino pictured here with Otto the Clown at the Fossetts Circus's base in Lucan, Co. Dublin. Pic. Robbie Reynolds.